So you are bringing your new puppy home. But is there a checklist to make sure you are ready? Here’s the ultimate puppy checklist to help you get started toward welcoming this new family member successfully into your home. First, it is important to remember that your puppy has only been in the world a short time, so it is fragile and sensitive to sound and touch as well as changes in routine. 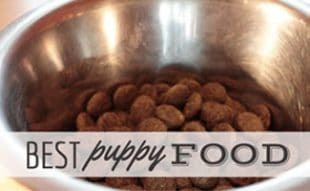 This is why it is important to establish a routine from the beginning of your puppy’s life and enforce it as closely as possible. It is also important to refrain from over stimulating your puppy during its first few months of life. Puppies sleep a lot because they grow a lot. Resist the urge to wake your puppy every few seconds to play. Much the same as babies, puppies need as much sleep as they can get. You will find that as your puppy ages, it will become more playful and you will find yourself wishing that you had those sleepy days of puppyhood back! You should always be conscious of your puppy’s whereabouts. Many trainers attach a leash to their belt or carry the puppy everywhere to ensure that it is not getting into something it shouldn’t. 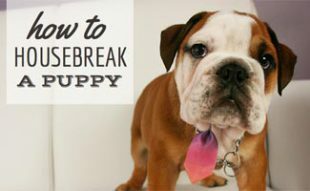 It is also a good idea to puppy-proof your house before you bring a new dog into your home. Puppies are easily housetrained (aka housebroken). Plan to be available for the first few weeks of its life to let it out every few hours. The fastest way to housetrain your puppy is to take them out every hour and immediately following naps, playtime and meals. Such repetitive actions will quickly teach your puppy that it is expected to use the bathroom outside. How Long Can My Puppy Go Without Peeing? 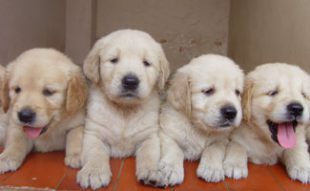 If you are not available 24/7, it is a good to remember that your puppy can hold its bladder for one hour for each month of age plus one (e.g., a four-month-old puppy can hold its bladder for five hours). 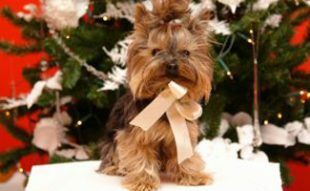 However, particularly young puppies have limited control over their bladder muscles and, as a result, they have accidents. Accidents should be reprimanded with a firm “no” and cleaned up. If you do not catch your puppy in the act, do not correct it. Remember, they are learning – they have no idea what’s good and bad, and the way to teach them is through positive reinforcement, not by being mean and condescending. Once your puppy reaches six months old, it should be able to hold its bladder for up to seven hours. However, it’s not recommended to frequently make it hold its bladder for such a long period. Imagine if you had to hold it for that long! Leaving a puppy home alone can be a huge step for a new puppy parent. It creates constant worry about what the little guy is up to. This is why it is recommended to crate train your puppy from the start. The crate not only gives your puppy a safe place to sleep, but it also keeps your puppy safe from danger when you are away. When leaving your puppy in its crate, remember to return home for potty breaks frequently or hire a dog walker. Doggy daycare is another option after your puppy has been spayed or neutered and has received all of its shots. Doggy daycare offers the chance to socialize with other dogs and develop social skills as well as run off all that extra energy! Social skills must also be taught to your puppy, often in training classes. Training classes benefit you, your friends and family and your well-behaved dog. Dogs thrive with structure, routine and having a purpose. As your dog’s master, you give it a purpose each time you issue a command, and it obeys you. Something as simple as “sit–stay” can bring more joy to your dog than you could ever imagine! Basic puppy training classes (in your local area or online) will serve to introduce your puppy to other dogs as well as teach them basic commands (sit, stay, down, off, leave it, heel, wait, etc.). After graduating puppy class, you could enroll in a more advanced obedience class to reinforce the lessons that your puppy recently learned and to ensure that your dog does not drag its master through café at peak business hours in pursuit of a donut. Following obedience classes, you might research specialty classes to turn your dog into a therapy dog, a dock dog, a hunting dog, a search and rescue dog, a tracking dog, an agility dog and much more! New puppies are notorious for getting into trouble and winding up in the vet’s office, sidling you with a big vet bill. However, it is also a great time to secure a low rate for pet insurance since your dog has few (if any) preexisting health conditions at such a young age. Get to know your options to determine if you should enroll in a pet insurance plan to protect you from the financial strains associated with a vet emergency. Puppyhood is a time of joy, much like new parenthood. However, it also has ways of testing your limits. 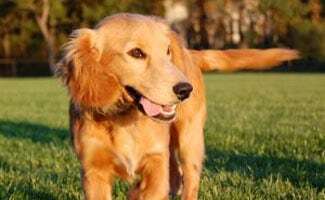 There will be nights of howling, accidents on the carpet and perhaps even that emergency trip to the vet, but in the long run, puppyhood can be one of the most rewarding times in a dog parent’s life. Take every day as it comes and keep in mind that while you are frustrated with your new puppy’s lack of understanding, your new puppy is just as bewildered by what you are asking it to do. For every mistake, add an ounce of patience, and you’ll enjoy watching your newest family member grow with your family. What have you found the most challenging about parenting a new puppy?